The North Caucasus still remains the main terrorist hub in Russia. RT spoke with Ramzan Kadyrov, head of the Chechen republic to find out what is being done to combat the problem. 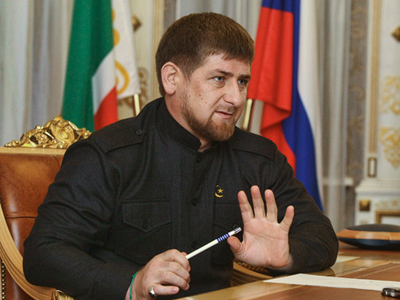 ­RT: Mr. Kadyrov, thank you very much for having us here in Chechnya. 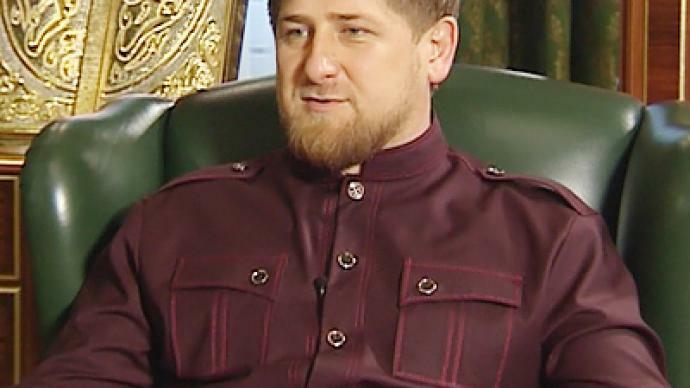 Ramzan Kadyrov: Thank you for coming. RT: There have been many unconfirmed reports lately stating that Doku Umarov, the man behind the bombing at Domodedovo Airport, is dead. Is that true? Can we trust those reports? RK: I would only say that information was completely true if I saw his body. What I can say is that all signs indicate that he should have been there. If he wasn’t in fact there when we attacked then we will have to keep on working. He has to be eliminated or thrown in jail. Our security agencies will work on that. RT: Do you have any idea about where he may be at the moment? RK: If I knew where he was I would be in the middle of a search and destroy operation right now rather than sitting here talking to the press. RT: Does taking down the leader of a gang mean, essentially, destroying the gang itself? RK: Illegal armed groups aren’t very organized. When the leader of a gang is killed, other gang leaders are usually happy. If Umarov was there during our attack, then the operation went well. But, in any case, the operation was a big success. I think it was because their spiritual leader was there. We had a very good result and I think if Umarov was not there with his henchmen he will join them soon enough. RT: We often hear about illegal armed groups being destroyed. The number of attacks on policemen is not decreasing though. Therefore, it seems like terrorist groups are rapidly increasing their numbers. In your estimation, how many terrorists are active in the North Caucasus at the moment? RK: I can’t tell you about the entire Caucasus but as far as Chechens are concerned there are about 60 to 70 active. RT: Can you tell us more about the tactics used by these bandits? Are those who attack your republic based in Chechnya or do they travel from one republic to another throughout the whole North Caucasus? RK: Well, Umarov has proclaimed the Caucasus a single “Emirate”, so they are popping up all over the region. When we defeat them here, they appear in Ingushetia and vice versa. RT: What drives young men from the Caucasus to join illegal armed groups? RK: It is something that no one understands. I spoke to a man who was to become a suicide bomber, to sacrifice his life. I asked why he wanted to do it. He didn’t understand me. I told him: Islam is encouraged in the Chechen republic. Are you not allowed to build mosques or to take the hajj? Are you banned from wearing the hijab or observing Sawm? Why do you come out and say: “I fight in the name of Allah”? We are all Muslims. Everything we do is for the good of the Muslim people and religion. I am an abiding Muslim myself. I live by the laws of Islam. What is happening between us? He didn’t answer me. Most of the people who chose to become suicide bombers have psychological problems. They are ill, usually blind or deaf. They find these people, completely disconnected from the outside world, and use them. That’s the cause of what is happening in our republic, the Caucasus, Russia and all over the world. RT: So it doesn’t have anything to do with the notion that gang members are more socially secure? RK: Absolutely not. It used to be true, yes. There are rumors circulating now about terrorists being paid in dollars. Nothing of the sort is happening. They don’t have any money. They don’t even have a place to stay. They are always on the move, never stopping at any place for a long time. We conduct special operations to locate them but they are very hard to find, especially now that there are few of them left. It is not because they are so good at concealment. They used to get a lot of support. Not so much these days. RT: You have spoken out against negotiating with terrorists – or, as you put it, criminals. Do you maintain that position to this day? RK: Why negotiate? What do we have to talk about? The Russian authorities are doing everything for them to come and live peacefully. We have all the agencies for that and we eagerly welcome them to come and give away their submachine guns, give themselves up, and then the relevant agencies will deal with them. If not, whom should we negotiate with? Just imagine negotiating with each and every one. They’ve killed a huge number of people, that is why they are now scared. To protect themselves they are now doing everything possible to attract young people so that they ensure their security. They know that they have no future. If we gave power to them they would not know what to do with this power. It’s funny, indeed. Therefore, they had better apologize to the people of the Chechen Republic and Russia and to Muslims. RT: Would you forgive them? RK: Of course. Allah is forgiving – we should be forgiving each other for the sake of people and for the right cause. RT: Would you make them go to prison? RK: Me? No. Why if they understood everything? If a person says that he understood everything, I don’t think he should be taken to prison. Actually, I am against people being taken to prison. RT: If I am not mistaken, last summer you said that Sharia law is above Russian legislation. Do you really think so? RK: Yes, I do. Being a Muslim, I’d rather die one hundred times, than disobey Sharia law. I am a believer. It doesn’t mean that Sharia law does not allow us to serve people as we do today and serve Russia one million per cent. Sharia law is more important for me in life. Laws are applied somehow. And Allah says where, when and how to apply them – it’s all prescribed. Therefore, when people ask me, if I am against polygamy, I don’t have the right to say, that I am against. Never in my life will I say this, because Allah allows it. RT: What’s your personal take on that? RK: I have no objection to it. Allah allows it. How can I object? 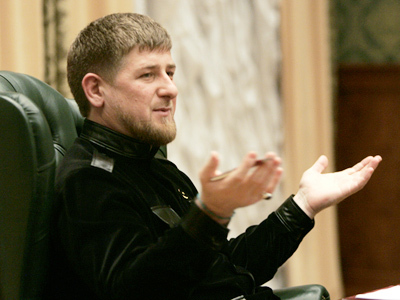 Who is Kadyrov to object? I am a deeply devout Muslim and questions like this one seem strange to me. I will never say anything against it. If I did object, I would cease to object. Everything that Allah permits… Look at what Allah says about it: you have to be morally sound in order to treat all your wives the same. If you follow all the rules, then having a second and third wife is a thousand times as difficult as having a lover. 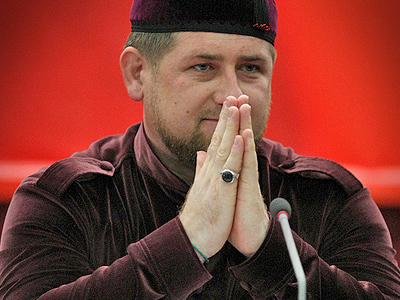 When they ask me “what is more important to Kadyrov,” I say, of course, that the laws of the Shariat are more important. We live in a secular state. Allah permits us to live and work while observing the law as long as the law does not intrude on the rights of Muslims. If the law does intrude on your rights as a Muslim, you shouldn’t fight. You should leave the country. Find a place where you fit in. I am a believer who tries to follow the laws of Islam. RT: You are definitely a religious man, but you are also a statesman. This means you have a duty to uphold the Russian constitution. Should there be a borderline between them and a modern society? RK: Sharia law obliges us to protect the constitution of the Russian Federation and the constitution of the Chechen Republic. We should be carefully protecting the existing system, I mean Muslims. RT: How do you think it’s possible to foster tolerance – religious and ethnic tolerance in our society and in our country? Based on the latest events we are still far from that. Is it possible to bring up an ethnically tolerant generation? RK: Of course, yes. Why not? RK: Everything is being done for that in our republic. There is mutual understanding in all respects – in terms of religion and ethnic origin. We haven’t had a single inter-ethnic clash. We live and build our future, treating everybody equally. We give ethnic minorities an opportunity to promote their cultural heritage including their language and everything. RT: When I asked about tolerance I meant the latest events at Manezhnaya Square. RK: There was nothing inter-ethnic about what happened on Manezh Square. Just like in other countries, somebody masterminded it, gathered people and wanted to stir them up against each other. But I am sure that we are incapable of it. We’ve always stood together as good friends. I am sure that the Chechens will never go to Manezh Square or to any other square and won’t be declaring their enmity. We already saw all this. We saw what happened after rallies and what rallies bring about. RT: The Russian constitution states that any citizen of Russia can become president of the Russian Federation. Do you think a non-Russian could ever become Russia’s president? RK: Of course, if the constitution says so. Why not? RT: Can a Muslim become Russian president? RK: Why not? A Muslim is not a public enemy, on the contrary. If he is a believer, if he fears God he should be doing even more than any other person, just like a Christian. Now, I can’t think of a suitable candidate. There is a system. And most people are Russians. Raising this question today is even inappropriate. RT: Well, no one thought an African American could become US president. RK: That’s why they are having problems now. RT: What do you think of Obama? RK: Americans are pursuing an incorrect policy regarding Muslims. The hanging of Saddam Hussein, no matter what kind of person he was, was an insult to all Muslims. They hanged him, the former president, on a Muslim holiday. When Obama came to power, he started doing what he could. What I personally think is that if he had a chance, he would have made a certain reshuffle. But he is prevented from doing so, as I see it. RT: You wanted to make Chechnya a destination for tourists. Where are you at right now? Could you imagine an English couple or a bunch of American kids visiting your republic for vacation? RK: A couple of weeks ago I visited that region, and there were painters there who were there to do a practical course. They were students I think. They painted so beautifully and I asked them if they liked the place. And they told me the place was very beautiful and that everyone was very hospitable. There are a lot of tourists coming here. We have a very unusual place in Vvedensky district, a very beautiful place; a lot of people are going there. There will be two tourist resorts there. RT: What do you make of the saying “Keep your friends close and your enemies even closer”? RT: I think they are just afraid of you. RK: I would be happy if they told me frankly what I did wrong to somebody personally. Then I would at least have a chance to prove that it’s not my fault and that they do not have a moral right to be against me. That it is why I believe that I have no foes – I have friends. My dream is to make everyone who has a bad opinion of me learn what kind of person I really am. RT: So what kind of person are you really? RK: I’m a very good person in all respects. I try to be impartial. If I do something wrong, I apologize. And I don’t feel shy about it. If a person lies, I can tell him he’s lying. I live this life with the awareness that it may end at any moment. What matters most is reputation and dignity, to save human face. RT: Thank you very much.